The educated and heartfelt choice. You deserve your perfect day. and uniquely designed for each couple. Most officiants only offer a choice between standard ceremony options and yet claim to offer custom ceremonies. Rev. 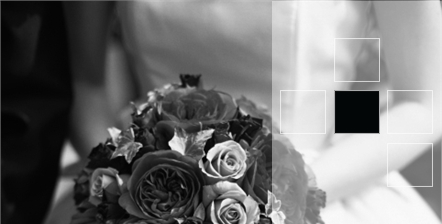 Miller offers you a truly custom ceremony that will be reflective of your love. Through a fun and stress-free communication technique, Jennifer Miller is able to assist you in creating a personal, one-of-a-kind wedding ceremony that is perfect for you. No two ceremonies are ever the same. You will receive the attention you deserve to make the wedding day of your dreams come true! An experienced and top rated wedding officiant, Rev. Dr. Jennifer Miller is able to perform legal weddings Nationally.Based in Wisconsin she performs: Lovely Outdoor Ceremonies at Boerner Botanical Gardens, Pier Wisconsin Discovery World, Polish Center, Irish Cultural Center, Masonic Center, Wisconsin Park Weddings, Wisconsin Wedding Halls, Wisconsin Golf Courses, Private Country Clubs, Beach Weddings, Museum Weddings, Lake Geneva Weddings, Dekoven Center, Home Weddings, Resort Weddings, Any Private Wedding Location of your choice. Elite custom wedding package includes: Complimentary consultation, Ceremony planning worksheet, Unlimited correspondence and support, Customized ceremony planning, Rehearsal at ceremony site, Officiating of actual ceremony, Travel and mileage within service area, Legal license filing with State, Keepsake marriage certificate when requested. Also available for vow renewals, short & simple ceremonies, and other customized services. Need a location? Ceremony sites are also available through Reverend Miller. Travel fees will be applicable for sites outside of southeastern Wisconsin. Reverend Jennifer Miller PhD is an experienced officiant and degreed theologian who will customize your wedding ceremony into the perfect expression of your love. Rev. Jennifer Miller is truly a blessing to the wedding industry and her joy and charisma bring smiles to all who have the privilege of attending one of her wedding ceremonies. You will be making the best choice when you choose her. It was amazing. We couldn’t have hoped for more. Jennifer was so easy to work with and put my mind at ease. She was really there for us and made our day so special. I am so grateful for her and all that she did for us. Sincerely Julie & Todd. We made the mistake of hiring someone else originally and Reverend Miller came to our rescue. I believe God lead her to us. Everything worked out so perfectly. She is such a wonderful person to work with. Thank you. A+++ What more can we say!